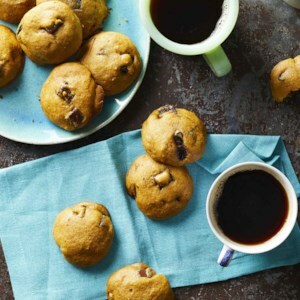 Find healthy, delicious 100-calorie cookie recipes, from the food and nutrition experts at EatingWell. 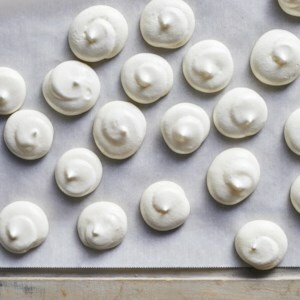 Magical aquafaba--the liquid from canned chickpeas that often gets poured down the drain--mimics egg whites in these airy vegan meringue cookies. The other magical thing? These cookies require just three ingredients! Save the chickpeas themselves for hummus, stew or any one of our other recipes that call for canned chickpeas. Classic chocolate chip cookies get a fall update by mixing in pumpkin puree and pumpkin spice. Not only are these pumpkin cookies even more flavorful than regular chocolate chip cookies, they're also oh-so-soft and cakelike. Use chocolate chunks for big gooey bites of chocolate or opt for mini chocolate chips to ensure a bit of chocolate in each bite. You won't believe how easy it is to make these seriously impressive cookies. 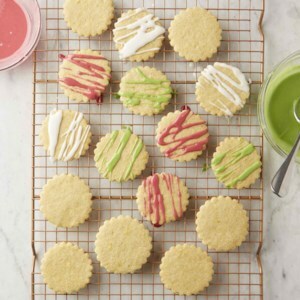 Crushed ard candy melts in the center of these festive sugar cookies, making a gorgeous stained-glass effect. 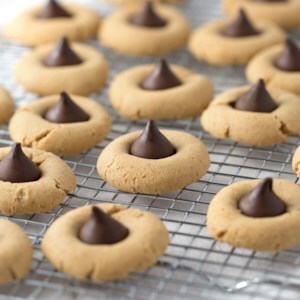 Use any shape cookie cutter you like, just make sure you have two--a big one for each cookie, and a slightly smaller one for the hole in the middle. It's hard to imagine a classic buttery sugar cookie without the butter, but trust us, it's possible. Here, we use coconut oil instead of butter for dairy-free eggless cut-out cookies that taste delicious and are fun to make and eat. 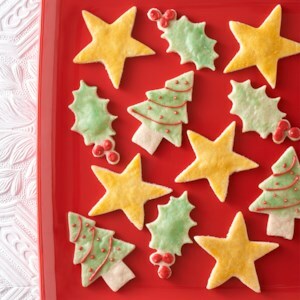 Decorate with a citrus glaze colored with a little food dye, sprinkles and/or sanding sugar as you wish. 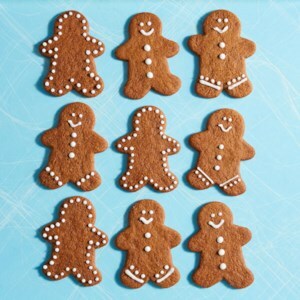 Coconut oil stands in for butter in this dairy-free, eggless cookie recipe for completely mouthwatering gingerbread cut-outs. 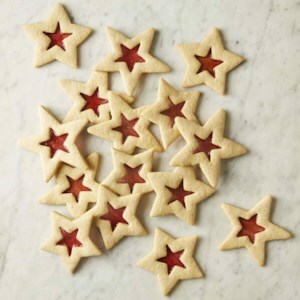 Decorate cookies with a simple vegan icing or sanding sugar. 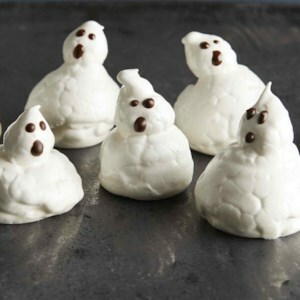 These lightened-up ghostly cookies are scary cute! Serve them as is for a fun Halloween treat, or use them to top a spooky Halloween cake. When making meringues, make sure that your bowl and beaters are clean and that there is not a trace of yolk in the egg white; the smallest amount of fat will prevent the egg whites from forming meringue. Depending on the humidity in your kitchen, the baking time might vary considerably. Check to make sure your cookies are crisp throughout before removing them from the oven. These peanut butter cookies are delicious on their own, but we make them even better by pressing a piece of dark chocolate candy into each hot cookie right after the cookies come out of the oven. 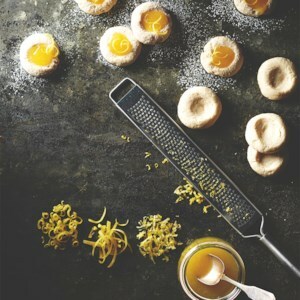 Enjoy these lemony cookies with a warm cup of tea. 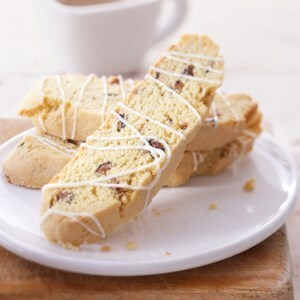 Drizzle these twice-baked fig biscotti with white chocolate for added sweetness. 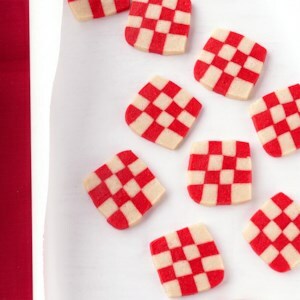 The red and white design makes these white chocolate and peppermint cookies especially colorful for holiday cookie trays and casual gatherings. 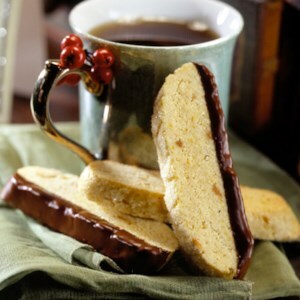 These sweet Italian cookies will be perfect with your afternoon or evening coffee. 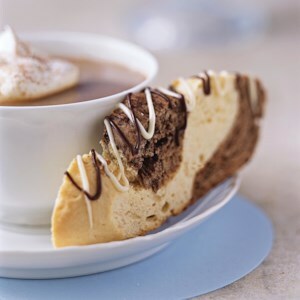 Each coffee-flavored biscotti is covered in melted chocolate and will practically melt in your mouth. 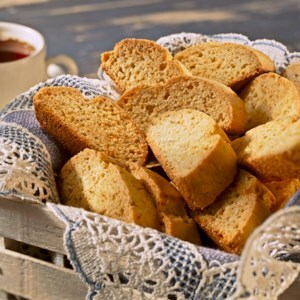 Biscotti are always sweetly welcome dippers for coffee or tea, but you can see how well they accompany cold favorites when you serve them with sorbet. 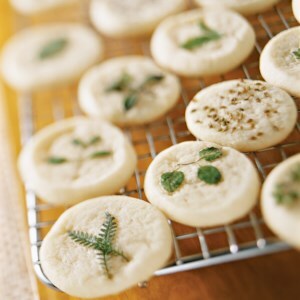 By topping these buttery slices with an assortment of fresh herb leaves and seeds, you can create a cookie jar full of unique treats. 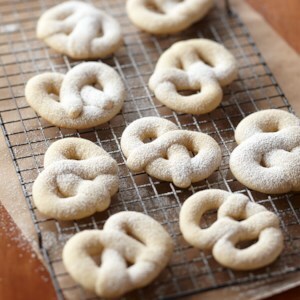 This recipe for the famous pretzel-shaped Scandinavian cookie has been remade so it's lighter but still just as tasty. These twice-baked almond- and orange-flavored cookies are wonderful on cookie trays or served with fresh fruit or ice cream. Dip one edge of the crunchy slices into melted chocolate to dress them up for a special celebration. Whoopie pies are easy to make and taste so much better then the ones available in stores. 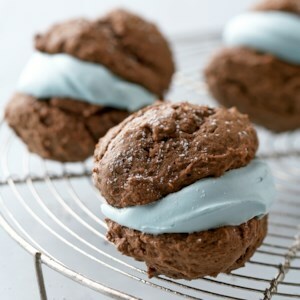 After you make this recipe, we bet you'll never buy a store-bought whoopie pie again! 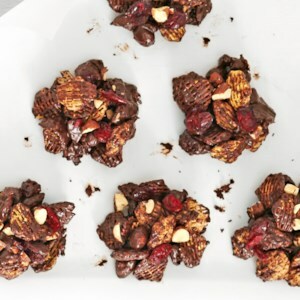 Studded with chocolate and nuts, these crisp cookies are sure to entice bake sale patrons. Help buyers gauge how to fit this treat into a diabetes-friendly meal plan by labeling each pack with the calorie and carb count per cookie. 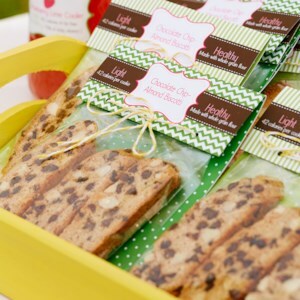 These easy-to-make snack is perfect for the school bake sale. 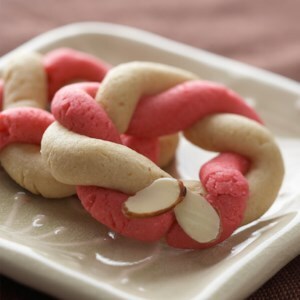 Suit your taste by using your choice of almond or mint extract for these crisp cookies.